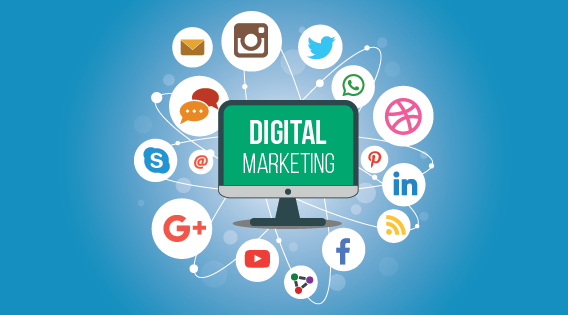 Today, every business has to be connected to the internet and their users or customers meaning it should have some form of connection with their audience besides in person. Competitors have become more aware of what they need to do to succeed, but still there are many that stand out because of their innovative thinking. Search engine optimization has become top priorities in the business because it is becoming main source of attracting the customers. Traditional marketing through TV is still more than alive, but it is becoming clearer which one will take the first place. There are a lot of strategies you can follow, but consulting with a SEO company will for sure give you better results than trying to do the job by yourself. Before starting to optimize the details you need to know what professional website looks like and what are designer trends now. You can adapt to search engines by implementing quality content and make it mobile friendly, but many times top 3 websites in Google for some key word doesn’t look good and that makes users leave in few seconds. With new AI implemented by Google, this user behavior is also being watched and it affects the ranking. Most of the time when somebody is thinking about doing business with you, they are going to do quite a bit of research and analysis and they are going to do that on your website. You want to make sure your website is mobile friendly. About 80% search today is mobile, so check your website on your phone, make sure it looks good, and also do a bird’s eye view comparison of your website design in comparison with some of your competitors. There are many micro technical issues you need to get rid of when it comes to your website, and one of them is a broken link and 404 errors. To find broken links all you need to do is to use a free tool like broken link check website where you enter your URL and click find broken links, and lastly, export all of the broken links that this tool finds to whatever type of SEO campaign sheet you are using, so you can then go through and start fixing all these broken links. If you are using WordPress, there is a plugin you can install called broken link checker which will perform the same function as mentioned website. Keep in mind that broken links and 404 errors do sometimes go hand in hand, but you should be auditing both of them separately because there are certain circumstances where you need to take different actions depending on what you have identified. Read more here. So, the process for when you find broken links is very straightforward, you just go through all of your broken links and you fix all those broken links. But, when it comes to 404 errors, there is kind of a different approach, and there is some strategy behind handling 404 errors that appear on your website. So, in most cases, you just want to let a 404 page be a 404 because it is a signal to Google that you actually want that page to be removed from the index because it no longer exists. Duplicate content occurs when more than one page on your website has the same exact content. This also applies to both content on the actual pages and your metadata as well. So, the reason why you want to fix duplicated content is that it doesn’t add value to your users. More importantly, Google’s Panda algorithm absolutely hates it. If you want to make your content deeper and you want to add levels to it, one of the best things that you can do is create your own unique data. This is a very powerful technique and it really can act as a great form of link bait when you create your own unique data. Stories are extremely powerful and we use them to make sense of the world. The good news is that storytelling is nothing more than a skill that you can develop. A great tip is to start to build your story archive so that you can pull relevant stories whenever you need to and you can inject those into your content.